The stainless steel tank is available in both 60- and 120-gallon capacities. 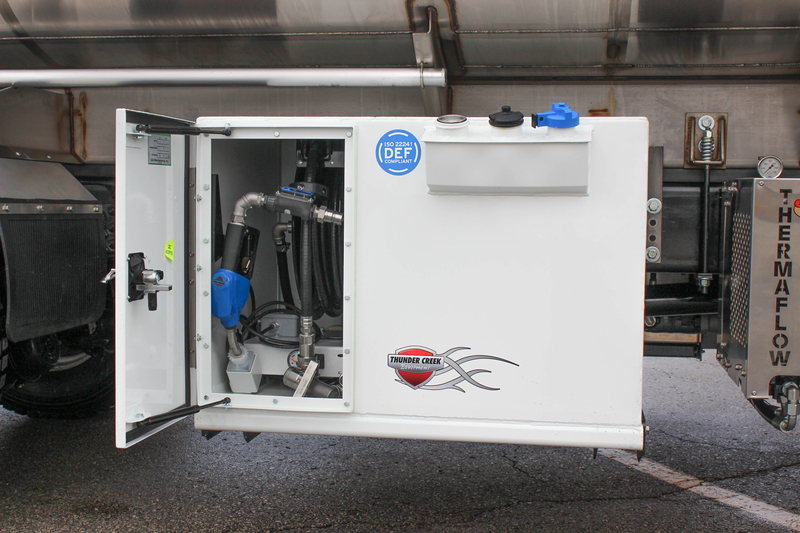 Pella, IA – Thunder Creek Equipment introduces the all-new DEF Saddle Tank—an industrial-grade, ISO-compliant portable DEF system designed to be mounted to the frame rails of a truck chassis. 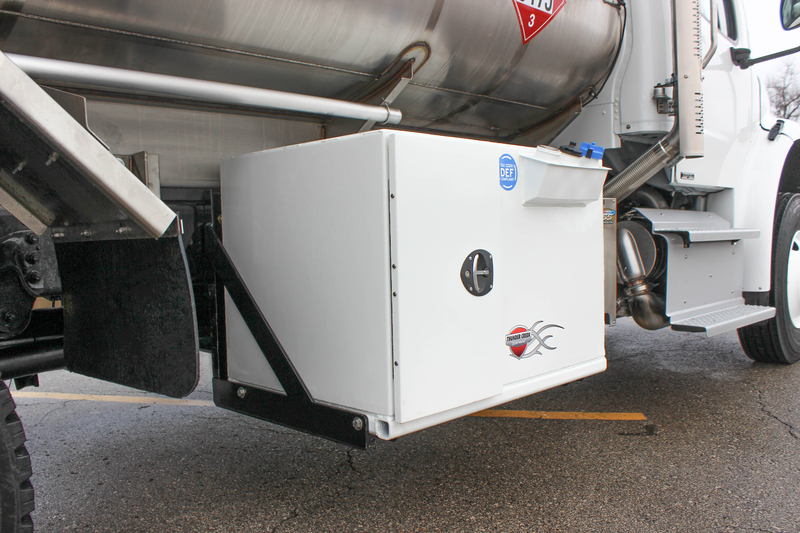 Available in both 60- and 120-gallon capacities, the stainless steel DEF tank features a lockable, weather-sealed enclosure, a 12V sending unit with gauge, a locking fill cap and a skid base for mounting to the frame rails of a truck.